Ratings: The player positions in the ratings game became mixed up with the crown being given to the new king drama, KBS‘s ‘Equator Man‘. With the tension heightening in the drama, it was able to leap from last to first place in a week as it achieved its highest rating of 12%. Meanwhile, SBS‘s ‘Rooftop Prince‘ was still able to sit comfortably in second place with a close 11.4%. And meanwhile, the drama that arrived as the king during the first week of the game, MBC’s ‘King 2 Hearts’, dropped to last place with a 10.8%. As all the ratings are within a close range, the winner of the weeks to follow is still up in the air. Recap of Ep. 8: Park Ha (Han Ji Min) and her entourage of the courtiers with Yi Gak enjoy the luxuries of their new “rooftop room”. To celebrate the occasion, Tae Young’s grandmother and the family, including Se Na (Jung Yumi) hold a housewarming event to celebrate the new rooftop room. After Tae Mu (Lee Tae Sung) and Yi Gak return from their squash tournament (from the previous episode), in which Tae Mu threatens Yi Gak, Yi Gak is forced to eat crabs in soy sauce to fully impersonate Tae Young, although he knows that he is deathly allergic to it. Park Ha knows of Yi Gak’s allergy and finds him out of the apartment, struggling to breathe. Park Ha does mouth-to-mouth to help him regain his breathing, which Se Na catches and mistakes as kissing. After Park Ha takes Yi Gak to the hospital for an allergy shot, she argues angrily with him and tells him that she can’t trust him anymore with his changing stories on his identity, from a Joseon prince to a rich heir. To prove his trustworthiness, Yi Gak walks into the opposite direction, disrupting traffic and worrying Park Ha. Meanwhile, Se Na, always needing to mold into the bitchy character, prowls around Park Ha’s room and notices the portrait the actual Tae Young had drawn of her in New York. Tae Mu enters the room and tries to console Se Na, only being faced with her coldness to him. Yi Gak and Park Ha begin talking about his true story and he tells her only a portion of the truth, that he is here to meet with someone. Later he asks her to recount what had happened when he struggled to breathe, and Park Ha tells him that she had to do mouth-to-mouth. Wide-eyed, Yi Gak playfully suffocates, wanting another kiss (and don’t we all). To confirm Yi Gak’s story, Se Na finds something in a history book of Joseon kings. Park Ha’s stepmother visits Park Ha and announces that she set up a blind date with a nice elementary school teacher, much to the surprise of Yi Gak and his courtiers. A dismayed Young Sul sits despondently on the floor, refusing to exercise, while Yi Gak jealously drinks his yogurt, asking Park Ha if she’s excited for the date. The next day, Yi Gak takes Park Ha on a shopping trip, beautifying her for the blind date. Park Ha and her date (cameo by Song Jae Hee) instantly hit it off nicely, as Yi Gak’s servants glare at the two. Chi San sends updates on the date, irking Yi Gak even more. After receiving a text that the two are going to the movies, Yi Gak can’t stand it anymore and sends a text to Park Ha, demanding to see her. Infuriating Park Ha, Yi Gak demands that she teaches him to drive. His slow pace and attempts to back into the parking lot frustrates her, angering Yi Gak with how quickly he is expected to learn driving. Yi Gak angrily asks if Park Ha could grasp learning to ride a horse that easily, and she confidently tells him she could. Cut to Park Ha trembling with fear. The two ride the horse together, on which Yi Gak interrogates her on her ideal man, making her uncomfortable with his close proximity. Grandmother meets up with Park Ha in the company, essentially telling her that Park Ha is not allowed to date ‘Tae Young’. Grandmother orders Se Na to bring Tae Young’s paintings to Yi Gak, to help prompt his memory. Perusing the sketches, she notices the same initials on Park Ha’s portrait that Tae Young had drawn of her in New York. Confronting Park Ha about it in front of Grandmother, Se Na accuses Park Ha of pursuing ‘Tae Young’ and acting like his guardian, all the while knowing that he was a chaebol heir. Grandmother slaps Park Ha’s face, as I shake my head knowing that she slapped the wrong girl. And yay, a much happy viewer with much growth on the Yi Gak-Park Ha loveline. Yi Gak was so adorable with his jealousy with Park Ha’s blind date (anybody disappointed to not see fists flying between the two), and I always love a guy’s stunned and awestruck expression after a girl’s makeover. And I cannot wait for Young Sol to come out of his shell and confront his romantic feelings for Park Ha. Man, can’t wait to see the relationship dynamics change between the lovely family. While I still worry about that bothersome itch of Se Na, I think I can trust the writers to execute it with well, maybe showing a contrast between his relationship with Park Ha and with Se Na, the chemistry and sparks and the lack of. While I do not appreciate Se Na as a shipper of the Yi Gak-Park Ha loveline, I actually find it interesting how the Se Na-Tae Mu romantic relationship is emulating the style of the ‘cliched’ Korean dramas. The rich guy, with his disapproving parents, dating an ‘inferior’ girl. And I actually like how Se Na in those moments become a respectable woman, defying the usual ‘damsel in distress’ character of Korean dramas. While most female protagonists in dramas have to endure the insults and the shame from the man’s parents, having to work hard to persuade them, Se Na had angrily told Tae Mu why there was even a need to persuade his father, why does she need to be someone who is so inferior that the couple needed to work hard to persuade parents. It’s not only nice to see Se Na vulnerable in these Tae Mu-Se Na moments, a counterbalance to her conniving moments, but also it packs criticism of the usual chaebol guy-poor girl romantic relationship. Due to the upcoming National Assembly Elections in South Korea on April 11th, the 3 major television broadcasters will be making changes to their regular programming. The broadcasters will be providing live coverage regarding the elections throughout the day. The results of the elections will reportedly hint at what will likely occur in South Korea’s presidential elections on December 19th. Episode 7 of MBC’s ‘King 2 Hearts’ drama will be shifted to April 12th. This will mean back-to-back episodes (Episode 7 + 8) on the same day. As a result, ‘Joo Byeong Jin Talk Concert’ on April 12th will be pre-empted. ‘Radio Star’, which did not air a new episode last week due to the labor union strike, will continue to be pre-empted this week. A special 100-minute election recap will be aired in its place. Episode 7 of SBS’s ‘Rooftop Prince‘ drama will be shifted to April 12th. Back-to-back episodes (Episode 7 + 8) will air on April 12th. All variety programs on April 11th will be pre-empted. Because of ‘Rooftop Prince’, SBS variety program ‘Star Couple Show’ will be pre-empted this week. KBS has 2 channels, 1TV and 2TV, and with 1TV airing coverage of the elections, there will be no interruption to regular programming on 2TV. 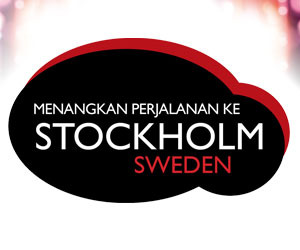 All variety programs and dramas on 2TV will air as normal. Netizens who’ve seen the video commented, “Wow, that’s amazing,” “It’s a whole new story,” “I can’t believe how the lines fit so well,” and more. JYJ‘s Park Yoochun recently sat down to talk about his character in his new SBS drama, ‘Rooftop Prince‘. The drama is off to a great start, and Yoochun’s character is already melting the hearts of everyone from elementary school students to those in their 40s and 50s! All three broadcasting stations premiered new Wed/Thurs dramas last week, and it’s been a tight race for the ratings both last week and this week. According to AGB Nielsen, SBS “Rooftop Prince,” starring JYJ’s Park Yoo Chun and Han Ji Min, rose 0.2% from the night before, recording 11.4% for its fourth episode. Since its premiere, “Rooftop Prince” has seen a steady increase in ratings, going from 9.8% for its pilot episode to 10.5% for its second to 11.2% for its third episode. MBC “The King 2hearts” recorded 14.6%, a 0.8% drop. On March 29, fans were surprised to see a 2% dip in ratings for the third episode, going from 16.5% to 14.5%. At this rate, many are predicting that “Rooftop Prince” will gain ground and take the lead for the Wed/Thurs night race for the ratings. Meanwhile, KBS “The Equator Man,” starring Uhm Tae Woong, saw very similar numbers as its previous episodes, recording 8.5%. 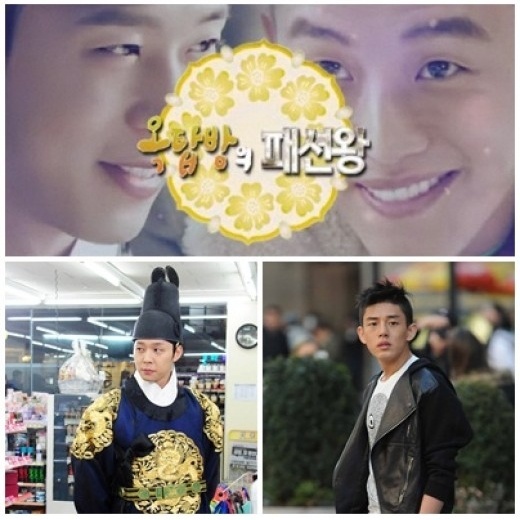 “Rooftop Prince” is about a Chosun era Crown Prince Lee Gak (Park Yoo Chun) who was in the midst of investigating the death of his Crown Princess (Jung Yumi) when he mysteriously gets sucked into the future and meets his destined love (Jung Yumi). “The King 2hearts” takes place in a fictional contemporary South Korea, which is still ruled by monarchy. The story is about an arranged marriage between North Korean Special Forces female operative Kim Hang Ah (Ha Ji Won) and South Korea’s Crown Prince Lee Jae Ha (Lee Seung Gi). Initially, the two are blinded by their pride and prejudice against each other, but they manage to get past their differences and fall in love. What about Soompiers? Which series do you like better? 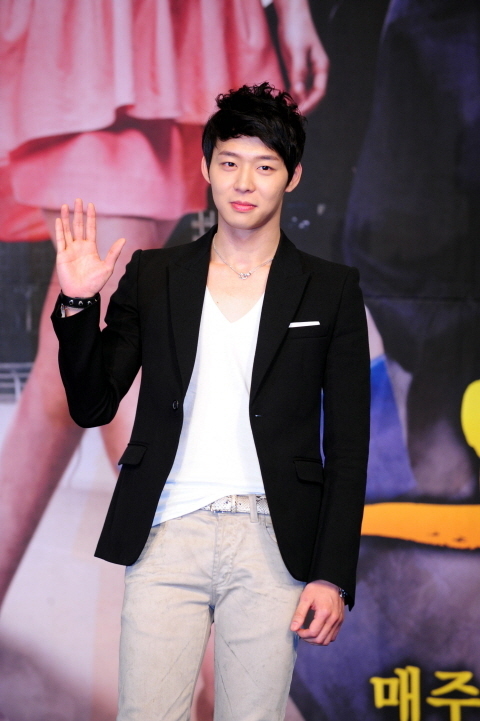 The actress expressed, “I’m so into ‘Rooftop Prince.’ I keep watching it over and over again. It’s so much fun. I just think the drama is very funny. There’s so much I want to say, and I feel so sad and envious.” However, the problematic remark occurred when Lee Si Young wrote, “I’ll bet [cutting off] my wrist that ‘Rooftop Prince’ will take over MBC ‘The King 2hearts’ in ratings,” shocking netizens. Netizens criticized the actress, “How can anyone who works in the same industry say such things, especially when she knows how hard everyone works to create such projects, regardless of ratings,” “How thoughtless and insensitive,” “I’m really shocked that Lee Si Young would say such things,” “Think before you type,” and more. As of now, Lee Si Young’s controversial statement has been deleted from the message boards. Meanwhile, “Rooftop Prince” has seen a steady increase in ratings since its premiere, recording 11.4% (AGB Nielsen) for its fourth episode. “The King 2hearts,” while still in the lead, saw dropped 0.8% from the night before, recording 14.6%. There seems to be a change happening on what will be the top drama on Wednesday and Thursday nights. If we follow the statistics given by the AGB Neielson Media Research group, on March 28th, the ratings for MBC’s ‘The King 2 Hearts‘, SBS’s ‘Rooftop Prince’ and KBS2′s ‘The Equator Man‘ was 14.5%, 11.2% and 8.1% respectively. 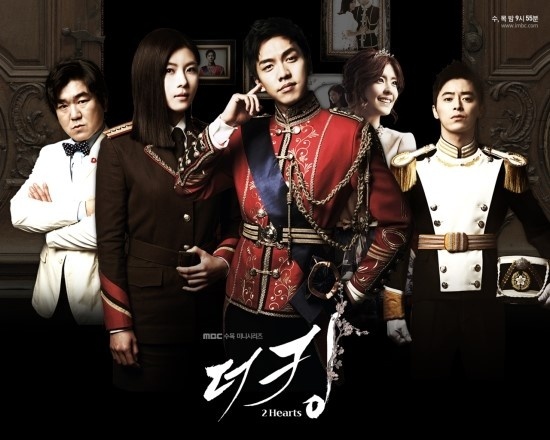 On March 22nd, ‘The King 2 Hearts’ recorded a viewer ranking of 16.5% meaning it dropped 2% this week. ‘Rooftop Prince’ was at 10.5% last week meaning it saw a rise of .7%, and ‘The Equator Man’ had very similar numbers from last week. 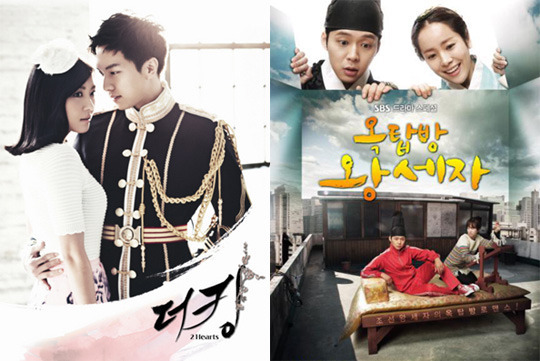 There was not much change in viewers for both ‘Rooftop Prince’ and ‘The Equator Man’, but there was a significant drop for ‘The King 2 Hearts.’ ‘The King 2 Hearts’ is still number one in the time slot but ‘Rooftop Prince’ had steady viewer growth through its first three episodes from 9.8% to 10.5% and finally to 11.2%, leaving it just 3.3% out of first place. With so many great choices for drama these days, it is no wonder that all have similar numbers. We’ll have to keep an eye on how the ratings will change with the progression of the shows. What is your favorite drama from this time slot? JYJ‘s Yoochun‘s royal entourage in the latest drama SBS‘s ‘Rooftop Prince‘ gathered together for a photo. 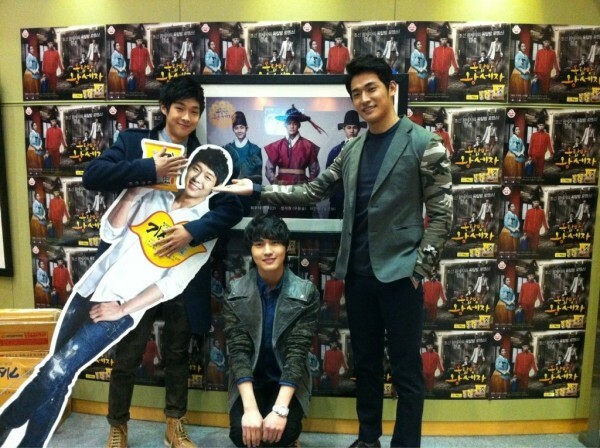 It seems that the king was not present the day of the photo, as actor Choi Woo Shik is seen carrying a cardboard cutout of Yoochun. Meanwhile, “Rooftop Prince” opened with a successful first episode last week. As the show steps into its second week of broadcasts, many are keeping an eye to see the competition between ‘Rooftop Prince’ and ‘The King 2 Hearts’.